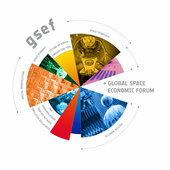 Josephine Goube, CEO of Techfugees, will give a talk at the first Global Space Economic Forum held on October 10 at ESA’s technical heart, ESTEC in Noordwijk, the Netherlands. The forum aims to engage leaders and executives of major space and non-space European stakeholders from institutional and commercial sectors in areas such as transport, ICT, mining, construction, energy, biomedical and security, to explore potential synergies and take joint action to tackle shared challenges. Techfugees’ inspirational opening keynote will promote the using of technology to empower displaced people and encourage corporates to be more open to talented refugees and to innovative partnerships with organizations like ours. Techfugees at SANDBOX <> Nairobi Conversation#TFChallenges18 -Who are the 25 Selected Finalists?